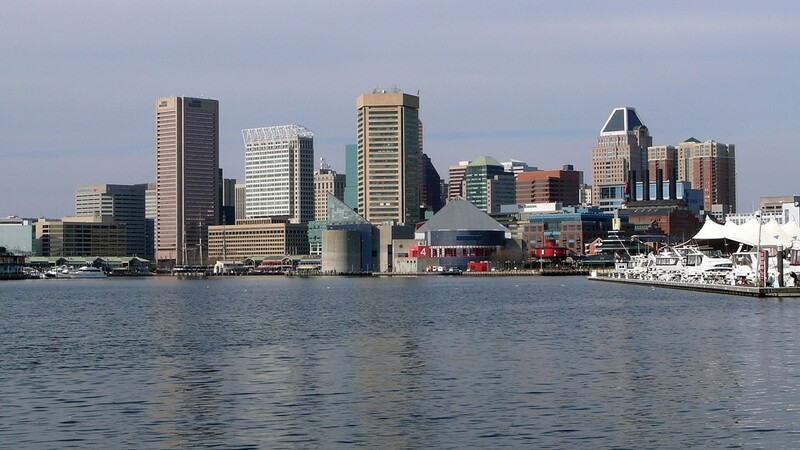 On my way between Philadelphia and Washington, I made a brief stop to Maryland's largest city, Baltimore. 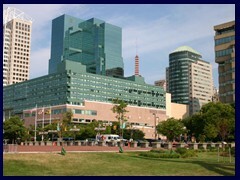 Originally I intended to spend a whole day in Baltimore but instead I extended my trip in New York with one day, to be able to go up the World Trade Center (something I don't regret since they were destroyed in the horrible terrorist attacks 3 years later!). 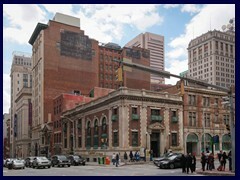 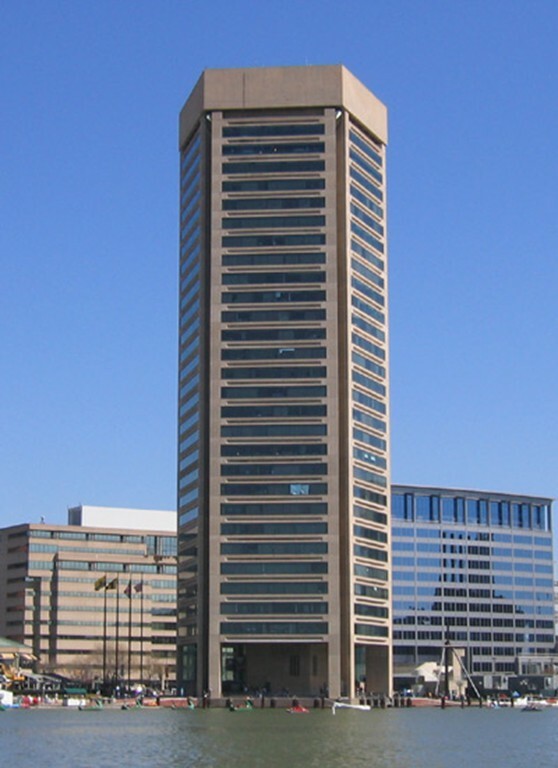 I didn't take any pictures in Baltimore (I explain why later), so I used only photos from Wikimedia Commons. 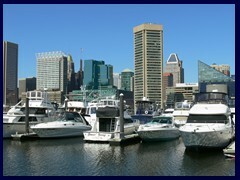 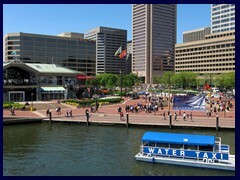 Baltimore is famous for its harbour and as the home of Edgar Allan Poe and other writers. 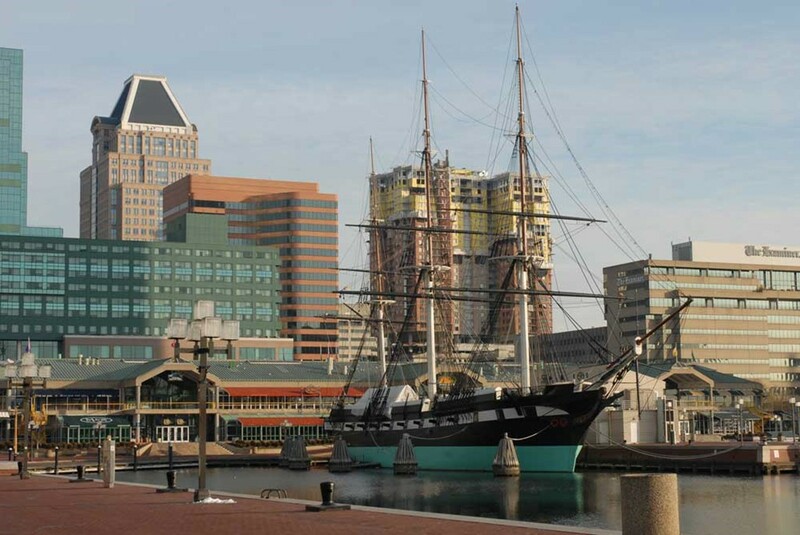 In the War of 1812, Francis Scott Key wrote the Star-Spangled Banner. 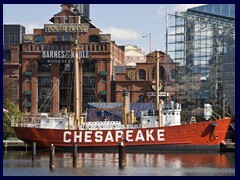 It was one of the most important cities in the USA back in the 20th century, and was the 2nd largest immigration port. 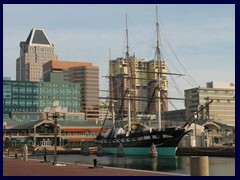 The city was named after Cecil Calvert, second Lord Baltimore. 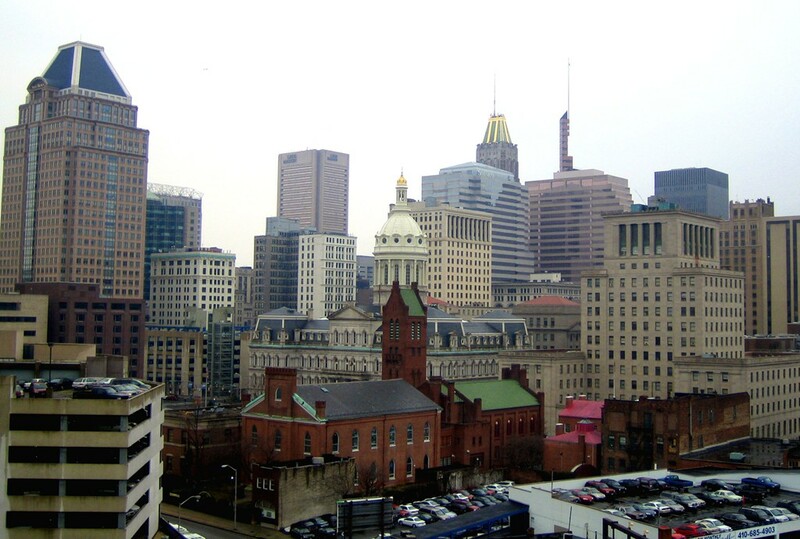 In 1777 Baltimore temporarily replaced Philadelphia as the nation's capital. 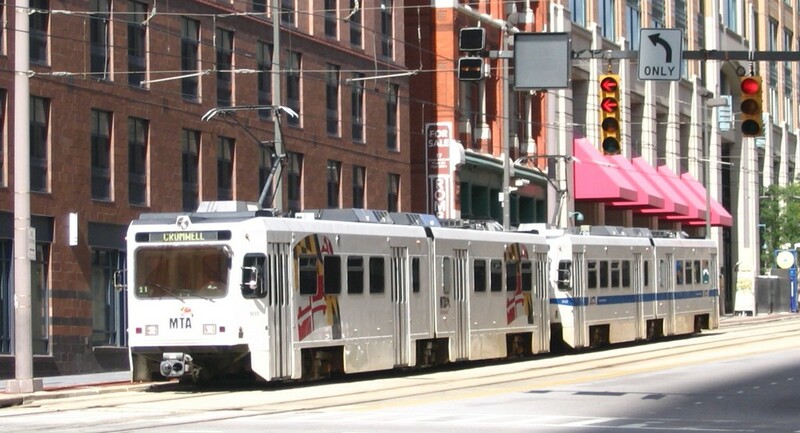 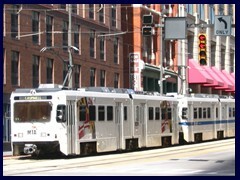 Baltimore is one of the few cities in North America with trams. 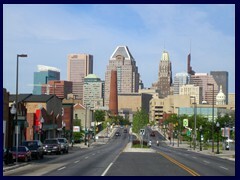 It is also the largest independent city in USA, since it is not a county. 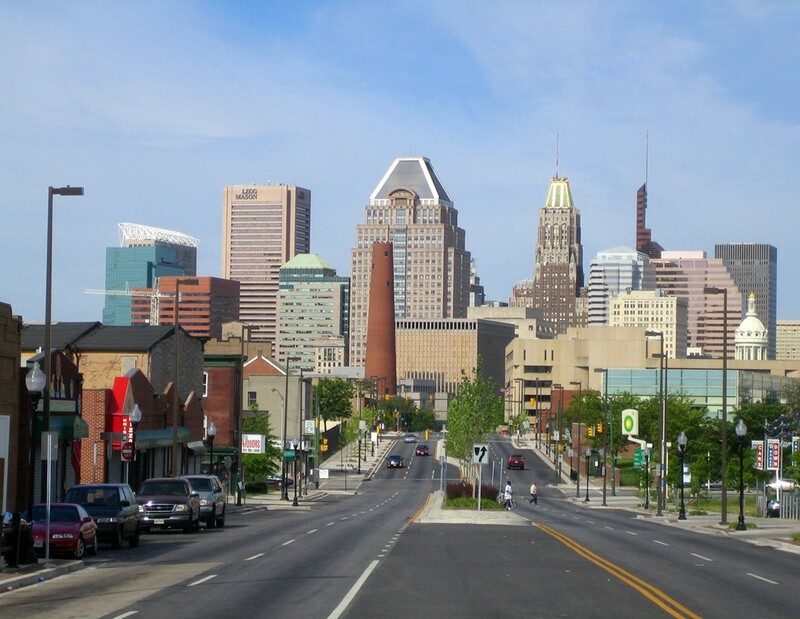 I got a feeling that Baltimore was very dangerous, something I later learnd to be true. 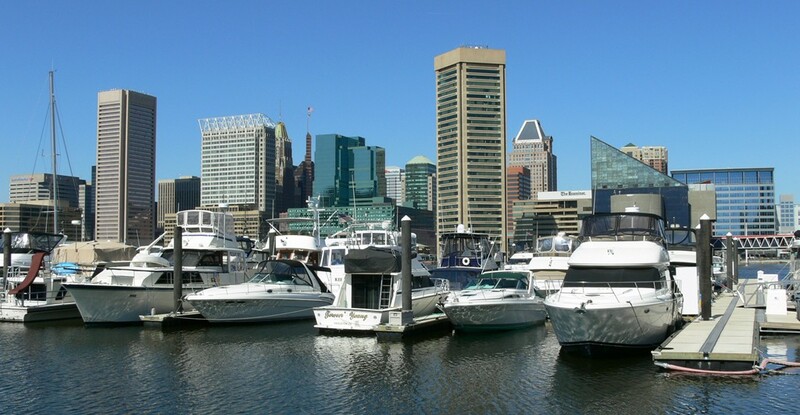 If you plan to spend time in Baltimore, use common sense and don't talk to anyone, avoid to walk alone. 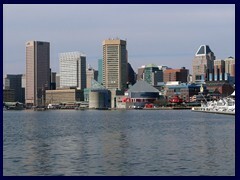 By some reason I was less impressed by Baltimore then the other cities. 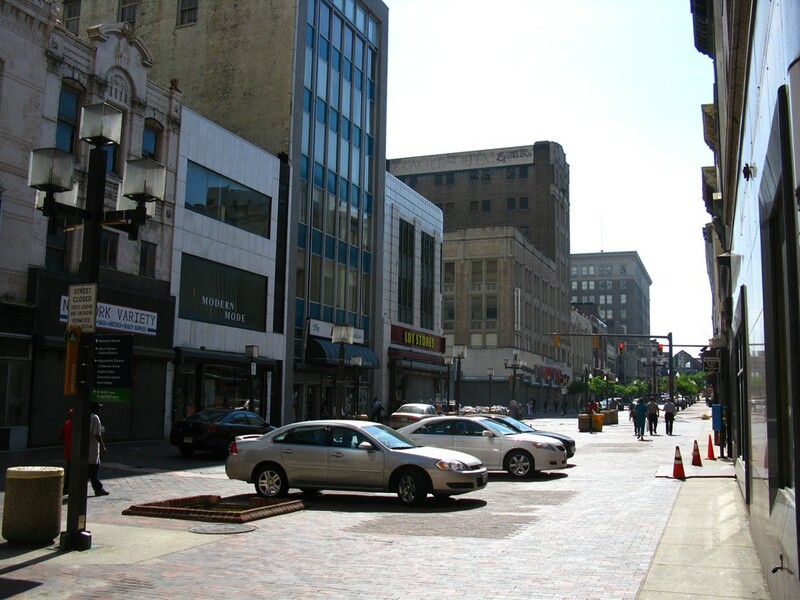 The feeling of crime and annoying homeless people ruined part of my short hour in the city. 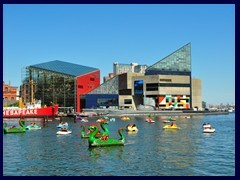 I only had one hour to spend, I strolled around in the Inner Harbor, the modern harbor area where you find modern highrises like World Trade Center (that has an observation deck that I didn't have time to enter), the popular and modern National Aquarium, the Harborplace complex with a green glass highrise Renaissance Hotel built above a modern mall that I visited and Pratt St Power Plant, a historical building that has been transformed into a restaurant and shopping complex, featuring a Hard Rock Café. 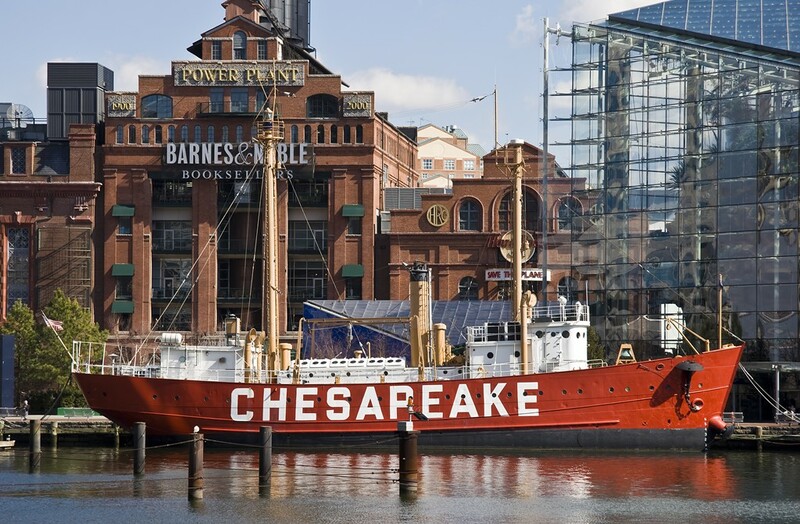 You also find historical ships in the harbour, as USS Constellation and Chesapake. 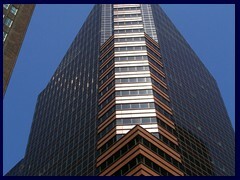 I paused in the atrium lobby of the hotel Hyatt Regency. 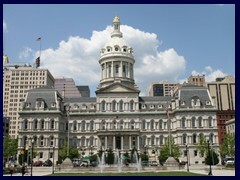 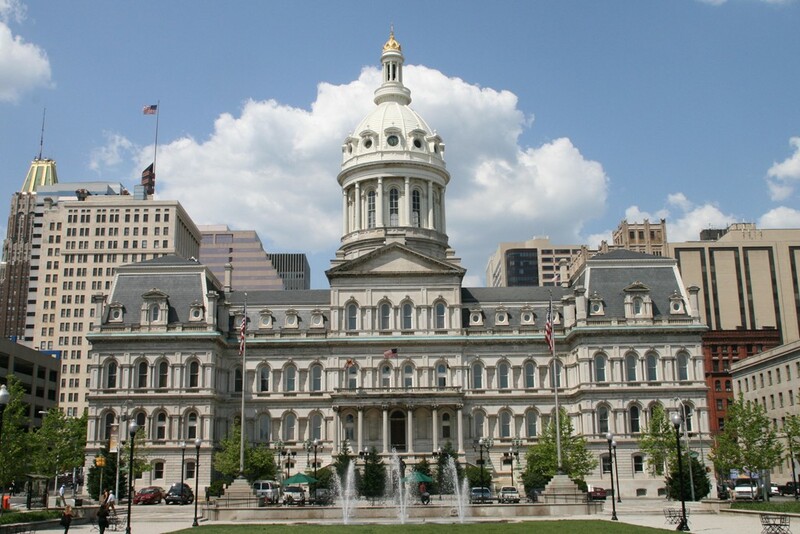 The City Hall of Baltimore is very nice and imposing with its dome and beautiful white exterior. 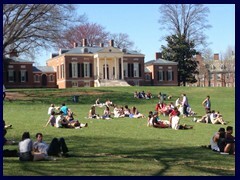 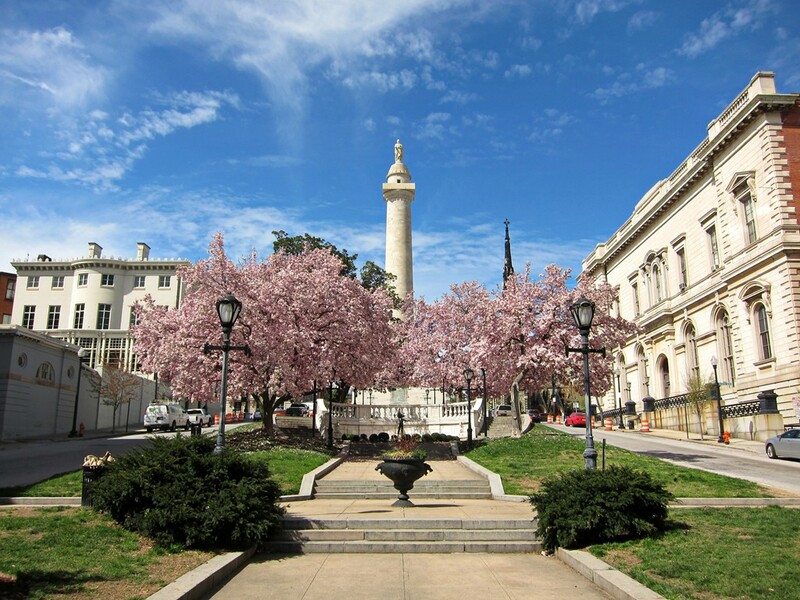 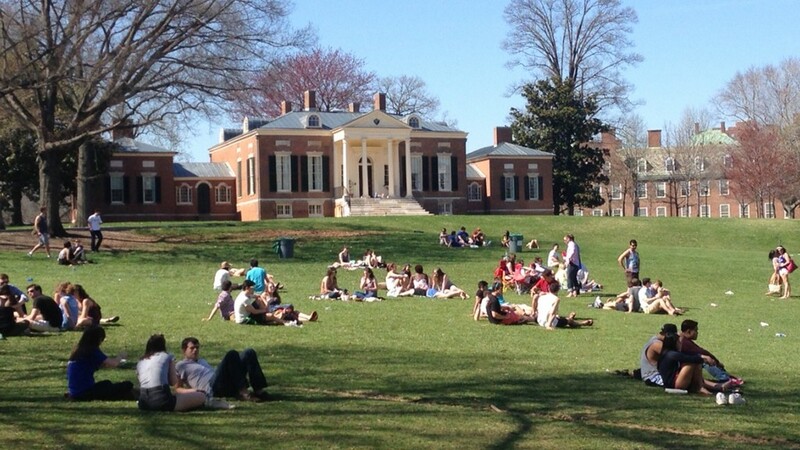 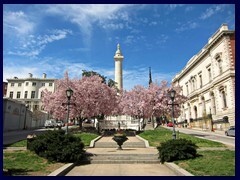 I also managed to visit Mount Vernon Place, a very beautiful square with historical buildings. 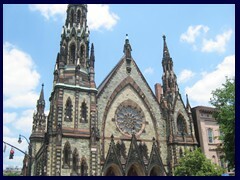 Here you find the Washington Monument (a column in the middle of the square) and the United Methodist Church, a nice gothic church. 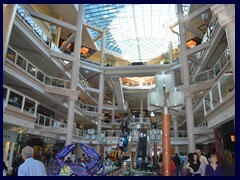 At first I met some homeless people, trying to make contact with passer bys, they screamed when I tried to take photos. 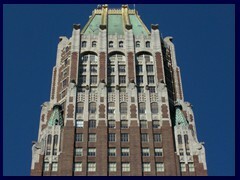 That, and the fact that the film in my disposable camera was full, made me unable to take photos. 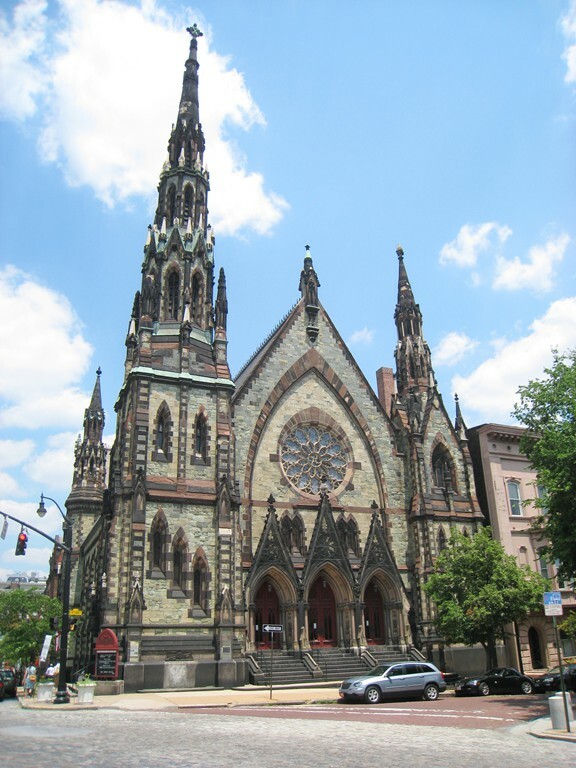 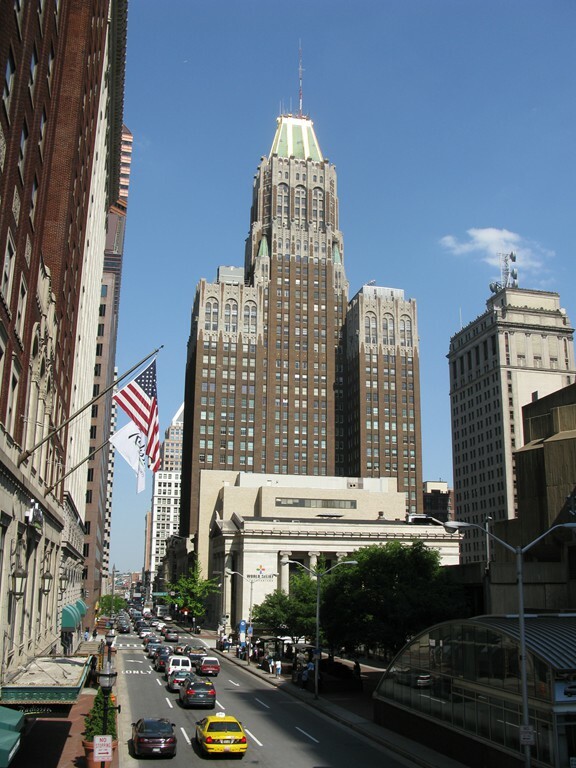 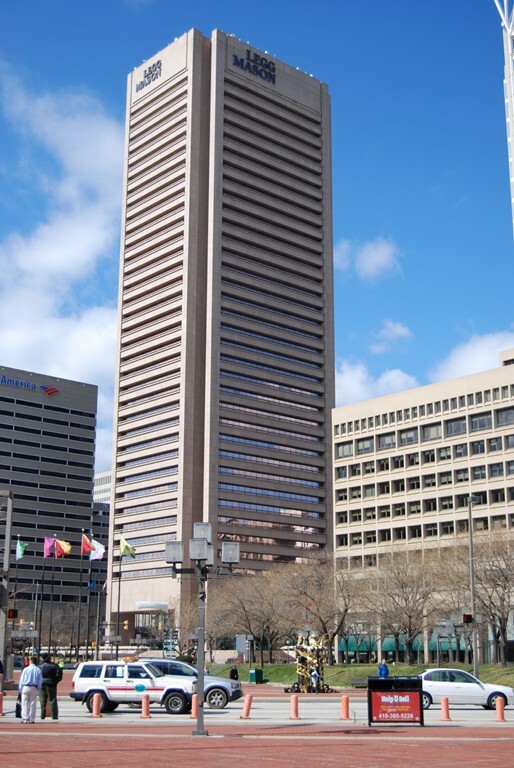 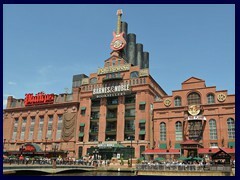 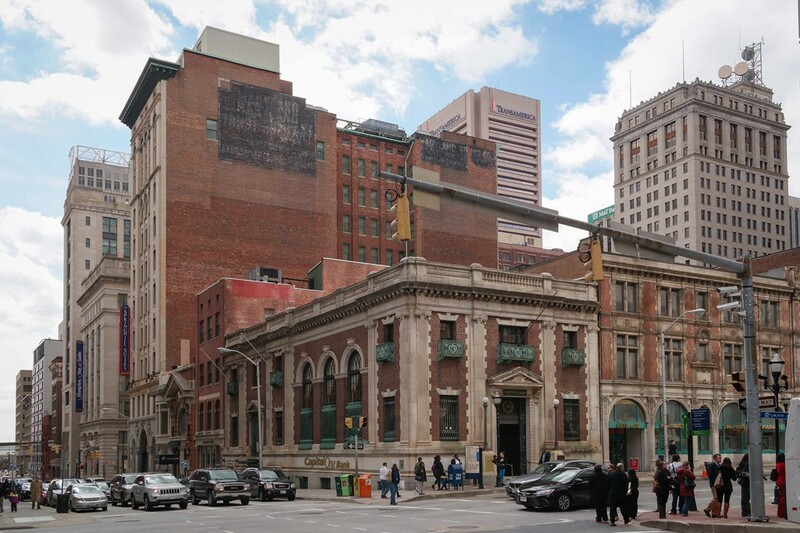 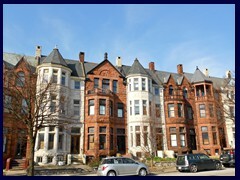 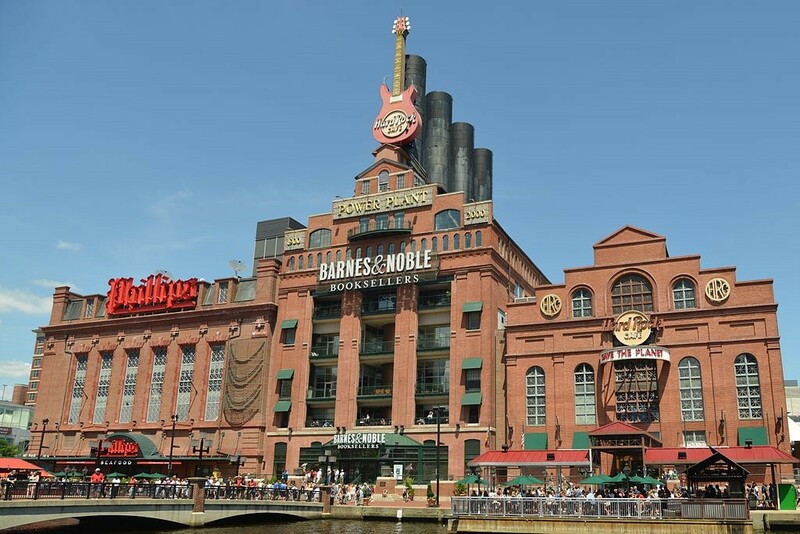 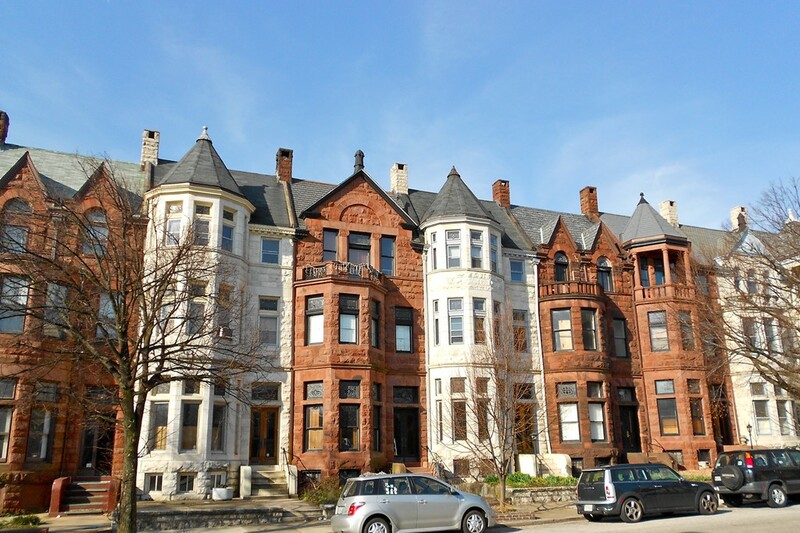 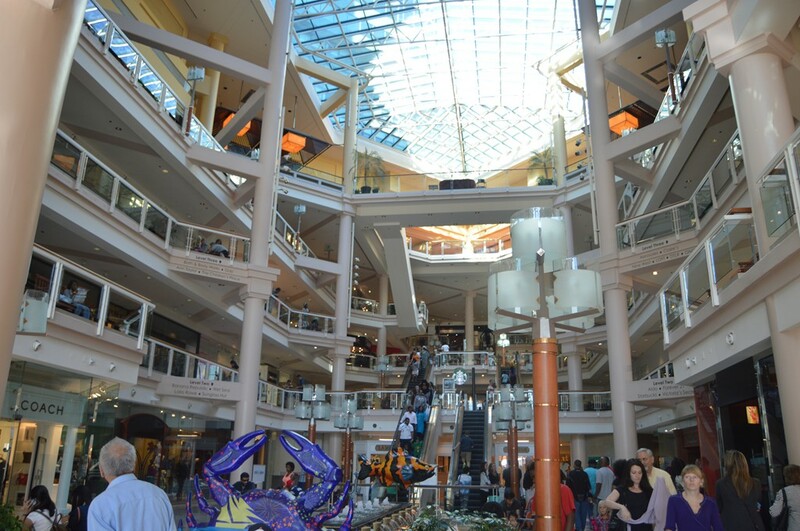 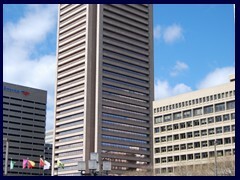 That is why I didn't make a page about Baltimore until 2017, I have now collected royalty free photos from Wikimedia Commons and made a photo gallery of it, from places I visited during my stay in the city, that represent the best parts of the city. 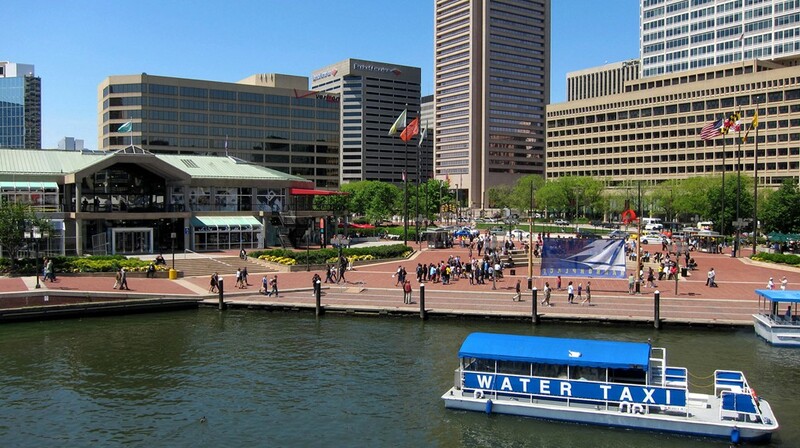 When I reached the safter Inner Harbor gangs of black kids tried to be as annoying as possible. 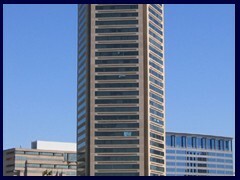 The skyline is pretty weak compared to other American cities (the tallest building has only 40 floor and there are not that many skyscrapers). 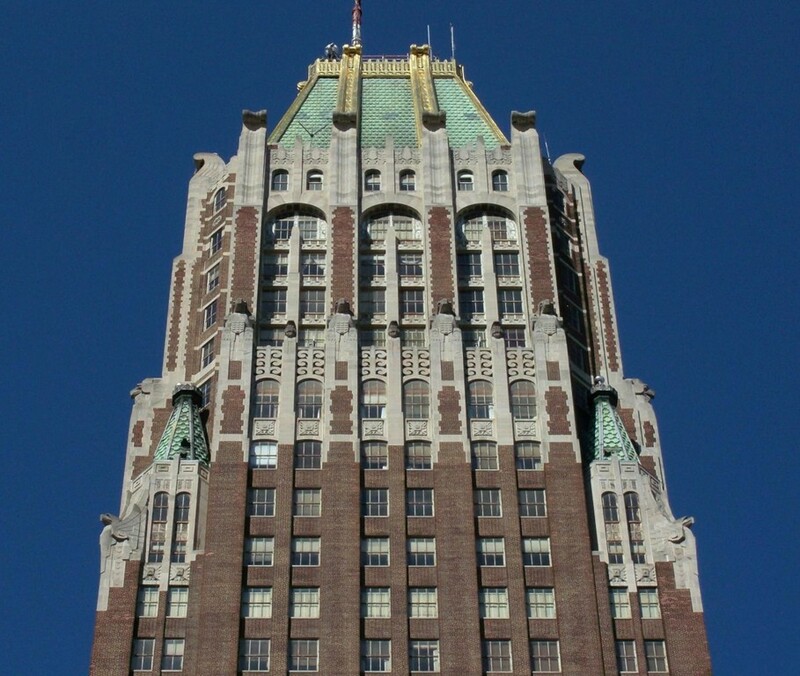 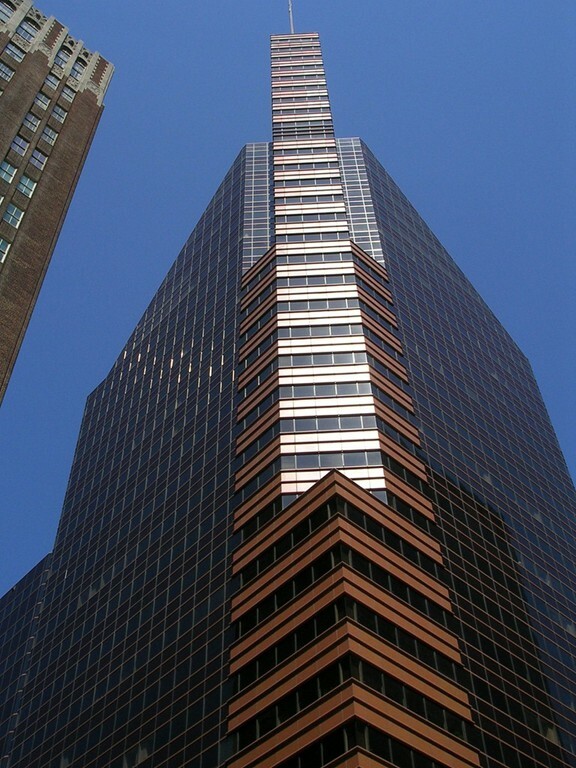 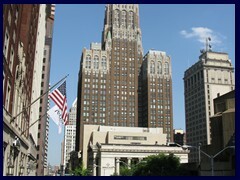 The New Yorkish Bank of America Bldg from 1932 is still one of the tallest buildings in the city. 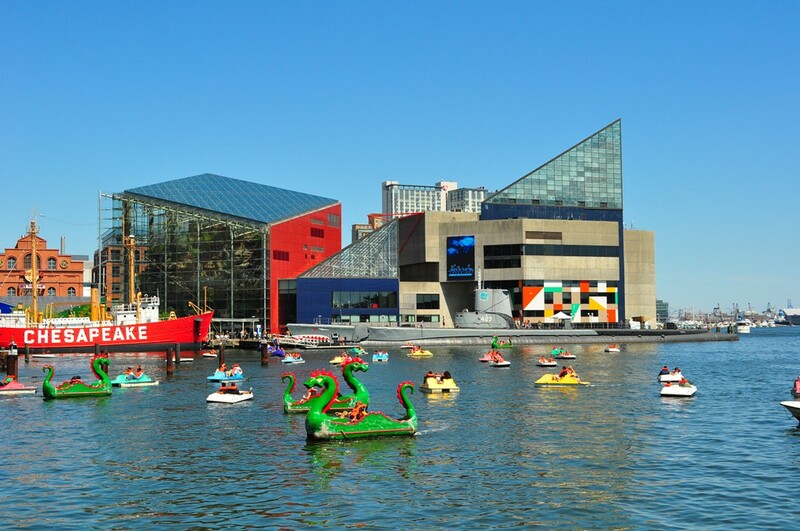 But to be fair, the harbour area is very nice, with its historic ships, aquarium and modern buildings, there are many historical buildings, very nice townhouses so Baltimore still has many qualities, but the stay was not pleasant, the city really have to take care of its huge problems! 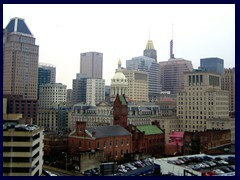 It was partly sunny when I arrived, but it soon became grey and windy, when I had to leave for the capital. 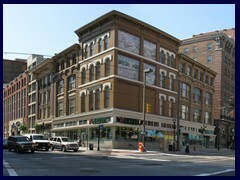 The Greyhound station was situated downtown, I had to ask for directions, luckily no obscure persons appeared this time. 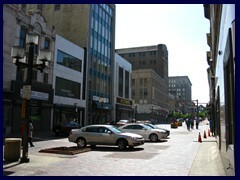 I hope it had changed since my visit, that was almost 20 years ago now.